Every year thousands of unsuspecting Americans are severely injured by defective products. In many instances, large corporations are in a big hurry to line deep pockets at the expense of innocent men, women, and children. They cut corners and bypass important safety testing in an effort to get their products out on the market as quickly as possible. This is an absolutely unacceptable practice. If you or a loved one was seriously injured because of a defective product, you need an experienced, aggressive attorney who deals in product liability law. You need a law firm that will stand up for your rights, working hard to get you the compensation that you deserve from the liable parties. 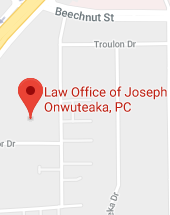 The Law Office of Joseph Onwuteaka, P.C. has been winning product liability cases and fighting for the rights of victims for over three decades. Do you have a product liability case? If you or a loved one has been seriously injured by a defective product, then the answer is probably yes. When a product is purchased, anything ranging from a baby swing to a car, there is a reasonable expectancy of safety. There are laws in place that govern how products are designed, manufactured, tested, marketed, and sold. These laws are meant to protect consumers. When these laws are violated, and serious injuries occur as a result of that violation, consumers are often due financial compensation. In many cases, there is more than one victim. What type of products can be included in product liability cases? Guns with defective safety mechanisms that do not prevent firing. The list goes on and on. These product and pharmaceutical defects fall into three main categories being manufacturing defects, design defects, and marketing defects. A manufacturing defect is a deficiency in the way a product was made. A design defect is a flaw in the way a product was designed. A marketing defect is basically a failure to give adequate warning as to the risks of using a particular product. Product liability cases can become very complex as the larger corporations try to pass the buck between designers, manufacturers, and distributors. If you feel you may have a product liability case, it is important that you retain tenacious, aggressive representation with the fortitude to investigate your claim thoroughly and diligently. With over 30 years of experience in this specialized field, The Law Office of Joseph Onwuteaka, P.C., has the expertise to navigate the litigation process with your best interest in mind. 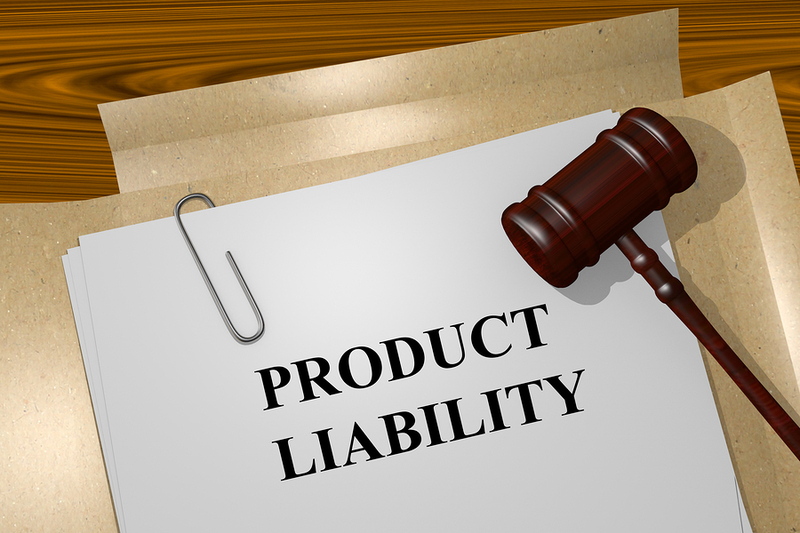 What type of damages may be recovered in a product liability case? In certain cases, a spouse may even be able to recover damages for the loss of services of a husband or wife. Damage valuation is a delicate and complicated process. You want to be sure that you are awarded the maximum compensation available. What if I was injured by a product that had a disclaimer? Can I still recover damages? Most of the time, the answer is yes. Again, every case is different. However, a disclaimer does not relieve a manufacturer, supplier, or retailer of all liability. A product manufacturer has a duty to instruct consumers as to the proper and safe use of their products. A manufacturer also as a duty to warn consumers of all risks associated with the use of their products. The fact that they may have upheld that duty does not relieve them of liability. Remember, there are different types of product liability cases. How long do I have to file a product liability suit? The laws vary by state. However, the state of Texas imposes a strict two-year statute of limitations on product liability cases. In some cases, the extent of injuries may not be immediately apparent. If you think you have a product liability case, you should seek legal counsel right away. It is important to preserve your rights so it is imperative that you waste no time seeking legal counsel and/or professional representation. I was not using the product for its intended purpose, can I still recover damages? Again, the laws do vary by state, but the answer to that question is probably. Manufacturers are obligated to account for “foreseeable misuse” of their products. Under this statute, manufacturers must at least try to account for other ways their products may be used or altered by consumers. Have you ever noticed those seemingly silly warning labels telling the consumer “not to eat laundry detergent” or “not to wrap babies in plastic?” This is an example of a manufacturer accounting for “foreseeable misuse” of their products. Even if you were not using a product for its intended purpose, if you were injured, you may still be able to recover damages. If you or a loved one has been injured by a product or was involved in an accident caused by a defective product, contact the Law Office of Joseph Onwuteaka, P.C. today. 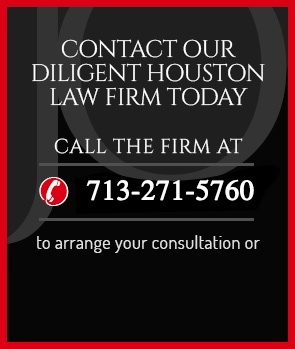 Call (713) 271-5760 or contact us online to schedule a free case consultation with an experienced Houston product liability attorney who can provide sound legal advice and highly strategic representation as you seek a settlement or jury award. The Law Office of Joseph Onwuteaka, P.C., will fight for your rights, working to resolve your case and get you the financial compensation that you deserve. Our law firm represents clients in lawsuits and other legal matters throughout Houston, Texas, and the surrounding areas. How much is your personal injury claim worth? What is the average percentage for attorney fees? Average percentage of attorney's fees is 33 1/3 percent. What do personal injury attorneys do? Personal injury attorneys investigate the case, develop the case, enhance strengths and minimize weaknesses, monitor the case, advocate for the client and seek the maximum recovery available. A personal injury lawsuit seeks compensation for damages suffered (past, present and future) because of the injuries sustained. The list is unlimited, but will mostly include, medical expenses, pain and mental anguish, loss earnings, physical impairment, loss of earning capacity, property damages, loss of consortium, etc. It can also, seek punitive damages in the case of gross negligence or intentional act. Alabama Agricultural & Mechanical University, Class of 1981 B.Sc. Alabama Agricultural & Mechanical University, Class of 1983 M.B.A.
Association of Attorneys and C.P.A.'s. Attorney Joseph Onwuteaka has represented my family is the legal arena since 1988. My first representation was in a divorce case w/ child support. Child support was awarded, however, we appealed because amount was too low. From that point until today, Mr. Onwuteaka has been retained as the family lawyer. Joseph is very passionate about his legal services and for the most part has been very pro-bono when it comes to our faith in ,him as a lawyer. I can't imagine not having him as a lawyer. My most recent case was delinquent property taxes. Each and overtime I have complete faith that I've received the best representation available. Mr. Onwuteaka will be the only attorney to represent me and my family for life!